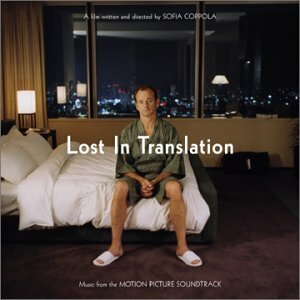 I saw the film Lost in Translation in Tokyo's Shibuya where a lot of the scenes were set. No subtitles for the Japanese dialog since the theater was in Japan. Why did it take so long to get released here (4/17/2004)? And why only one theater here? The lines were too long. Typical of Tokyo, theaters here sell more tickets than seats available, then allow everyone else to stand or sit in the aisles. The first show was sold out (standing room only) and I arrived an hour earlier for the next just to get a seat. This underscores the film that many don't get... TOKYO: a megalopolis of 30 million people, and foreigners on the fringe. I appreciate that Sophia Coppola spent a lot of time here, and it is very evident in the film. The best part is after leaving the theater to continue the great experience we're having here. We must admit, we've appreciated this film on many occassions over the past few months challenged with the never ending need to fit in and time spent with people we can communicate easily with. "They were playing this great music, and I wish I knew what it was so I could let you hear it"